Please Sign into The Exiles Team Page!!!! Votes for a new Officer in place of "SPARTACUS" starts now! » Popping those NEW BUBBLES! » Troop Ratio and Effective ATTACKS! 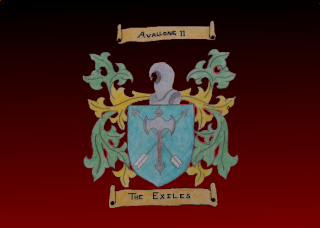 This forum will be used to promote active use of The_Exiles webpage. To any that wish to participate I will post a topic area for you to create a character to appear in the ongoing novel that I will write with the above title. Characters may be the race of Men, Dwarves, Elves or Hobbits and may hold any skillset and profession that you please (keep it clean, no hobbit strippers please). Additionally I will add topic area for idea on adventures you would like your character to undertake. Hope you all have fun with this, I look forward to getting this going. Here all relevant information will be shown in regards to target co ords, strategies and might building assistance.